The Procter & Gamble Company (P&G) announced July 28 that David S. Taylor, Group President of Global Beauty, Grooming and Health Care, will succeed A.G. Lafley as Procter & Gamble’s President and Chief Executive Officer, effective November 1, 2015. Mr. Taylor has been appointed to the Company’s Board of Directors. On November 1, 2015, A.G. Lafley will become Procter & Gamble’s Executive Chairman. In this role, Mr. Lafley will lead the Board of Directors, and provide advice and counsel to the CEO and P&G leadership on Company and business strategies, portfolio choices, and organization decisions. Mr. Taylor joined P&G in 1980. 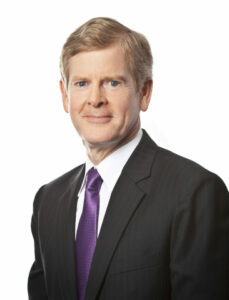 He has helped to build many of P&G’s core businesses, including Baby Care, Family Care, Hair Care and Home Care. He has led global businesses, and lived and worked in North America, Europe, and Asia. Most recently, Mr. Taylor served as Group President of Global Beauty, Grooming and Health Care. Prior to that, Mr. Taylor was responsible for Family Care and Home Care, both of which delivered consistent double-digit profit and mid-single-digit sales growth under his leadership. He has worked closely with Mr. Lafley on the Company’s strategy to strengthen and focus P&G’s business and brand portfolio. A.G. Lafley served as CEO from 2000 to 2009, and returned from retirement to serve as CEO in 2013. Since 2000, Mr. Lafley has played a central role in leading P&G to double the Company’s sales and nearly triple its market capitalization, resulting in significant value creation for shareholders. Since 2013, Mr. Lafley has led the P&G team to focus and balance the Company’s goals, strategies, portfolio and structure for improved performance.